The DS-9664NI-I16 64-Channel NVR from Hikvision accepts up to 64 network cameras and supports third-party cameras. The use of H.264 video compression allows for enhanced recording capacity and low bandwidth consumption. The recorder can be used standalone or as part of a comprehensive surveillance system. 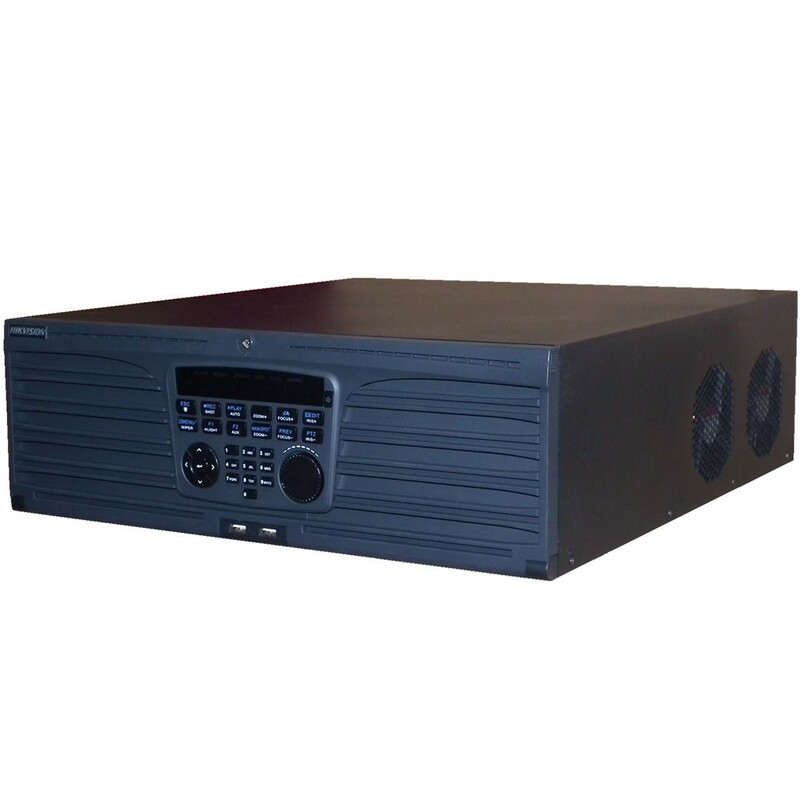 The NVR features sixteen SATA interfaces to expand storage capacity for up to 6TB capacity for each HDD, and an eSATA port and three USB ports to connect external storage devices. The HDMI and VGA video outputs provide options for connecting monitors. 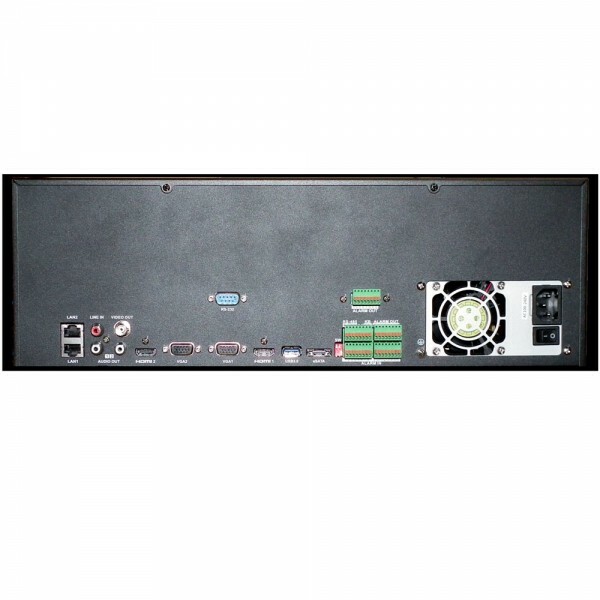 2 self-adaptive 10M/100M/1000M network interfaces, and two working modes are configurable which are multi-address and network fault tolerance.